The intrusion of fake news into the media ecosystem has been met with fear and outrage. Yet fake news might trigger a good thing,​ too: A reminder of the extraordinary value of truth and perhaps a realization that, after much agonizing over the viability of the news business, there is a raison d’être beyond the accumulation of digital eyeballs. Journalism is often at its best during periods of genuine turmoil or uncertainty. In occupied Europe, amid disinformation on the most extreme scale, truth was spread furtively on printed pamphlets, some of which evolved into leading news outlets of the post-war era. We’re nowhere near there, but fake news still is a serious matter. Scolding social media platforms for distributing it misses the point. Endemic obfuscation requires even stronger reporting mixed with entrepreneurship — an opportunity to live up to the core of the profession. The coming year will bring many changes. I hope one of them will be positive: the rise of vigorous and entrepreneurial quality journalism. 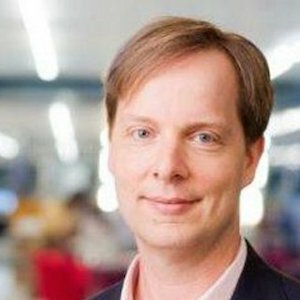 Almar Latour is publisher and executive vice president for Dow Jones Media Group. Dec. 19, 2016, 1 p.m.